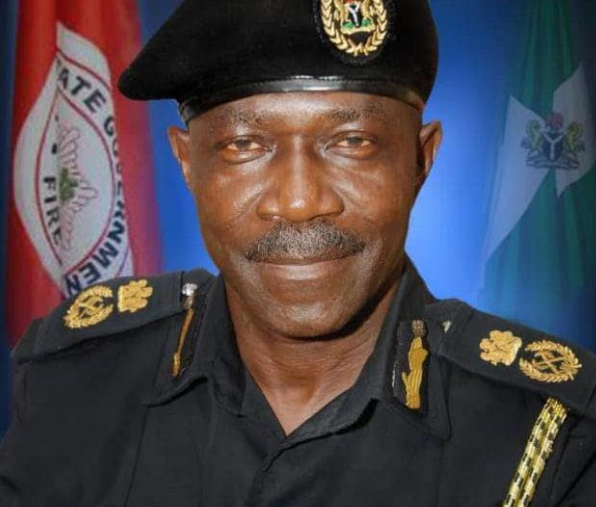 Kidnappers on Saturday night abducted the Lagos State Fire Service Acting Director Rasaki Musibau and six others at Ejirin, along the Epe-Itoikin road, Ikorodu area of Lagos. Among those kidnapped is the personal assistant to the vice chairman of Ikosi-Ejirin LCDA. The incident, it was gathered, occurred while the fire chief and others were returning to Lagos from Epe. The daring kidnappers had blocked the Itoikin bridge, ambushing the occupants of a Sienna, Corolla and a Sport Utility Vehicle (SUV). A resident, who simply gave his name as Segun, who called to notify The Nation about the incident around 3pm, said the fire service chief and other people were ordered to alight from their vehicles and were whisked away. He said the incident occurred in the evening. “They (the kidnappers) didn’t take anything from the vehicles. The Fire Service acting director’s vehicle was there with his phone. We saw three vehicles at the spot. We were told that the kidnappers were just stopping vehicles on the road at Ejirin and after occupants of the three vehicles were taken, they hurriedly left the scene,” he said. He doubted if the kidnappers knew Musibau before abducting him. “They could have ransacked his vehicle and taken his phones away if they knew he is the Fire Service acting director,” he said. Another resident said the abducted personal assistant to the vice chairman of Ikosi-Ejirin Local Council Development Area drove his boss’ vehicle. “The kidnappers might have thought it was the council’s vice chairman, unknown to them that the person driving the vehicle is the chairman’s aide. I think the man took his boss’ vehicle to a party. He was returning to Ejirin before he was abducted,” he said. According to him, the kidnappers left two children of some of the women abducted on the scene. Some residents alleged that occupants of an interstate bus were also kidnapped after the vehicle dropped off some passengers along the road and bystanders, pretending to be waiting for a bus to Lagos, entered. A resident, who spoke to The Nation, said the interstate bus had stopped to drop off a passenger at Ejirin, adding that some other persons standing on the road joined the vehicle en route to Lagos. “It happened on Saturday evening. It was around 7pm. It was one of these instate buses that ply that route. The bus stopped to drop off passengers and some people entered. But unknown to the driver and passengers, those who entered the bus were kidnappers and they took them to an unknown destination. “It was a separate incident from that of the fire service director. The man and some others were coming from Epe to Lagos when the kidnappers ambushed them and took them away. This area is gradually turning to something else. “We are worried because we know how bad it was then when farmers and their employees were being kidnapped daily. These boys are gradually starting again. “We are calling on the authorities to act fast before it is too late,” said the source. But the police denied that any commercial bus was involved, saying the total number of those affected were seven occupants of a Toyota Sienna, Corolla and an Opel SUV. The kidnap has sent shivers down the spines of residents of the axis who have for some time experienced respite from incessant kidnappings and armed banditry. Prior to this incident, it was gathered that the Community Development Committee (CDC) Chairman, Samson Ajijedidun, was kidnapped by the gang on March 1 and only released after a ransom was paid. Police spokesman Bala Elkana, a Deputy Superintendent (DSP), said “Investigation has begun into this incident. The CP has also deployed Special Forces and tasked the Command’s Anti kidnapping Unit to ensure that they rescue the seven persons abducted by some hoodlums suspected to be kidnappers at about 8pm along Iwoye bridge, Itokin-Epe road, Ikorodu. “The CP in the company of Tactical Units Commanders visited the crime scene in the early hours of today (yesterday) and assured the family of the victims that the command is leaving no stone unturned in ensuring that the victims are rescued unhurt."